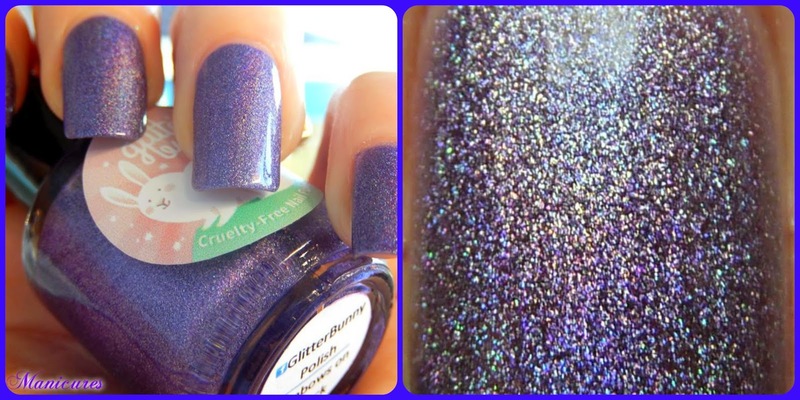 A Sad Goodbye to Glitter Bunny Polish - LAST EVER RESTOCK!! 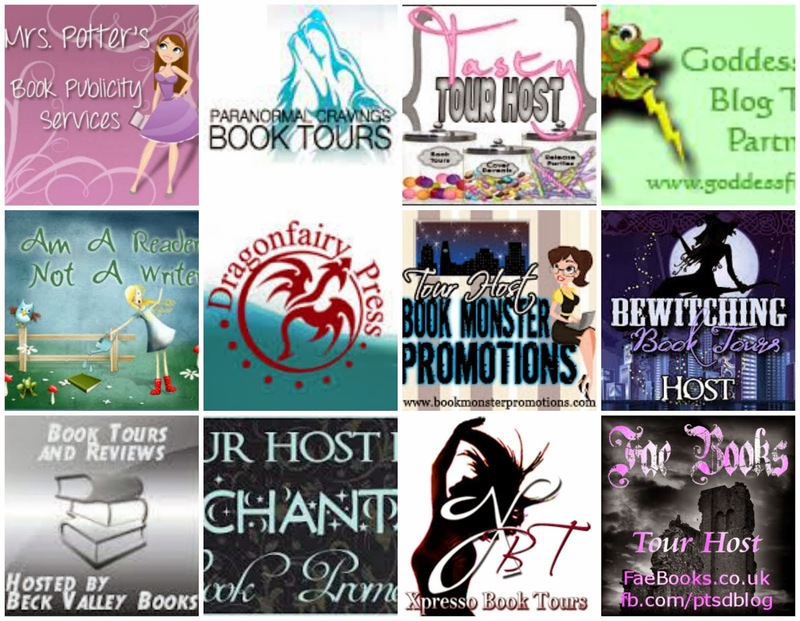 It is with great sadness i have to report (if you haven't already read it on facebook) that Nicole of Glitter Bunny Indie polishes is shutting up shop TODAY for good....I'm trying to twist her arm and say "never say never" but....i guess we have to wait and see! 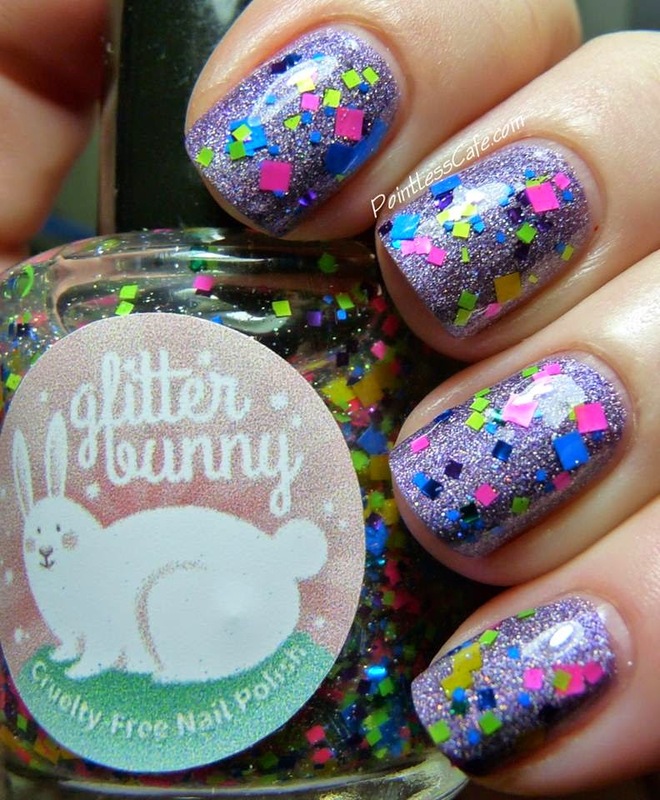 I did a review post on Glitter Bunny polishes HERE and it was always my intention to get more, but now its shutting up, I'm getting my order in now! and "I Got A Goody Bag" - which as you can see looks fab o black or white, and i imagine any colour in between!! And this - what a mad but gorgeous combination - both of them at once! Of course these aren't the only two in the Glitter Bunny arsenal, but if if you're watching the pennies and had to limit yourself, id suggest these two being snapped up before you cant get them again!! Another unique item i haven't seen before (and yup on my buy list!) is what Nicole called "Squishees". These were in two colours. The Blue one is called "Jellyfish". It looks just like a normal blue jelly polish in the bottle. 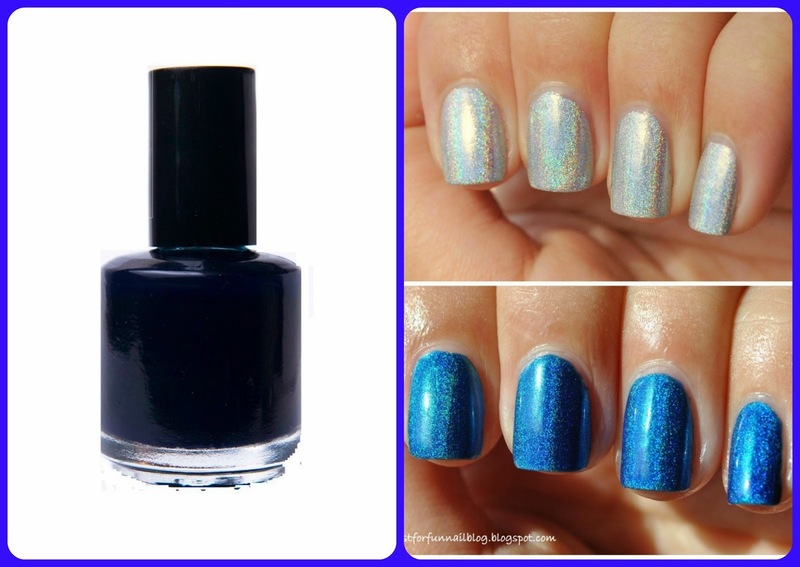 But layer it over a holo colour (here Color Club "Harp On It" was used) and it changes the colour to a BLUE holo. 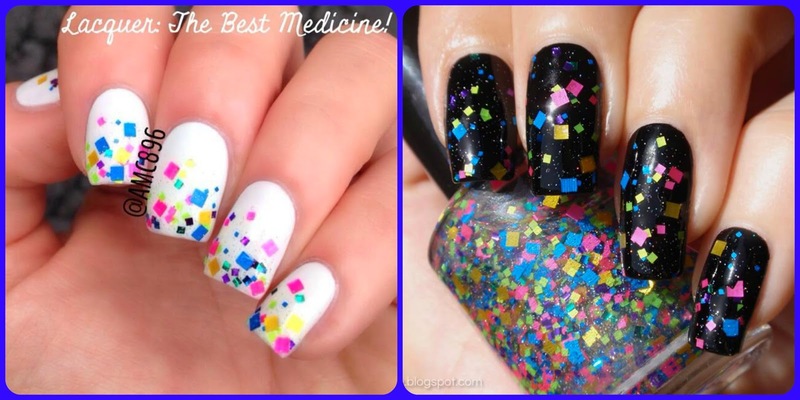 Obviously, its not limited to using a silver holo polish. I think a pink one would look great with the blue. Ok, come on....something I've never seen, have you? 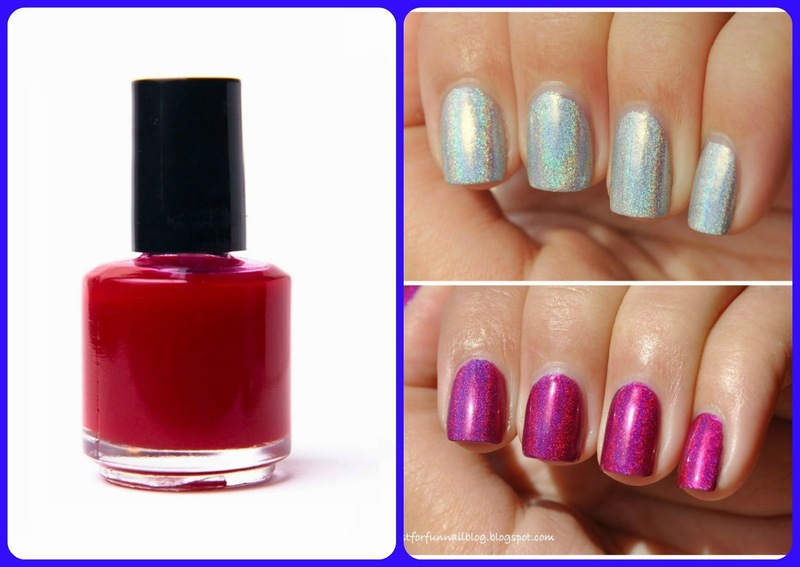 Theres also a red one called "Sourjelly" - over the same holo base, and being red it turns it a luscious holo pink! I think they look great fun to have a play around with!! Of course, its not just these four, theres these and plenty more to grab while you can! 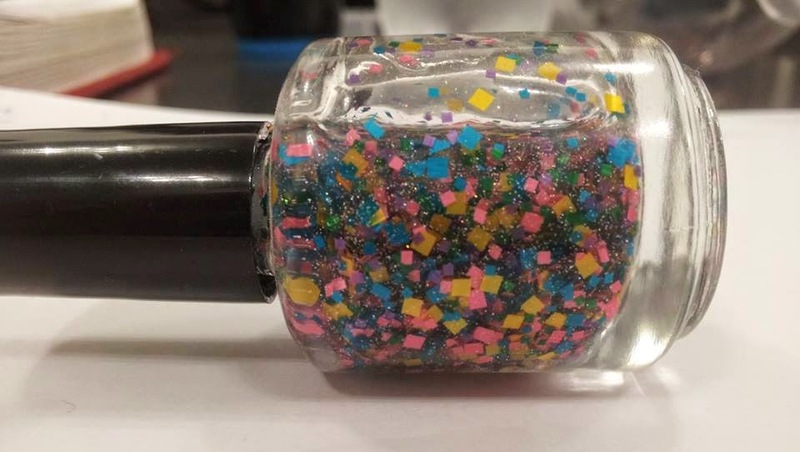 And as a farewell, Nicole is treating us to one very last new polish and Limited Edition called "Last Sale Ever Ltd Ed" and in the bottle you can see sooooo many pieces of glitter!! What else is there to say and show! 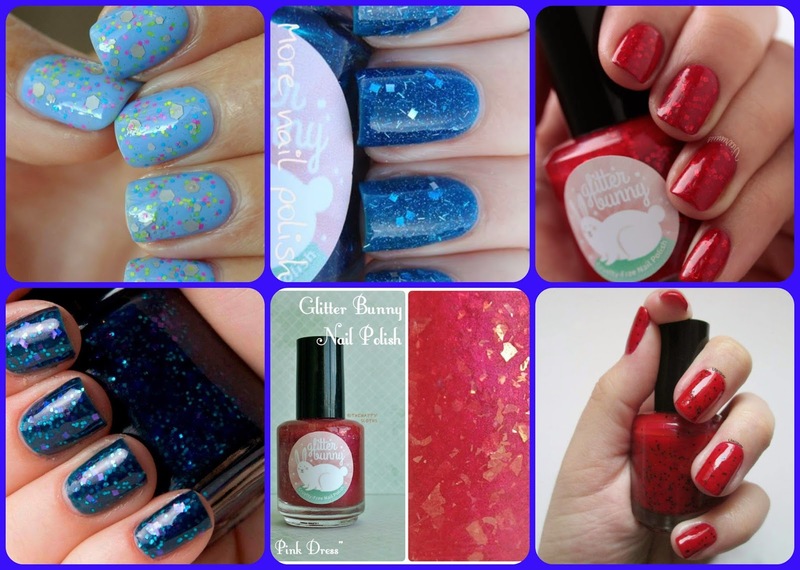 Mega pretty polishes - great prices - mega low postage charge (strange in our world, but its true!) -AND the LAST chance to pick one up. Nicole, thanks for making such pretty polishes and i know I'm gonna miss you and the polishes, but glad to be able to call you a friend and can stalk and bug you on FB to pick it up again...kidding!! LOL!!!!! 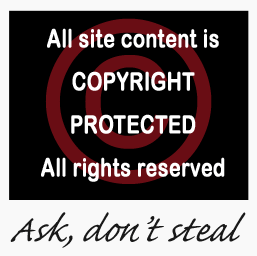 Its open NOW and basically until no stock is left. So fill ya boots!!! Hope you guys pick up some pretties before she shuts those shop doors for good! And as always, happy polishing!! 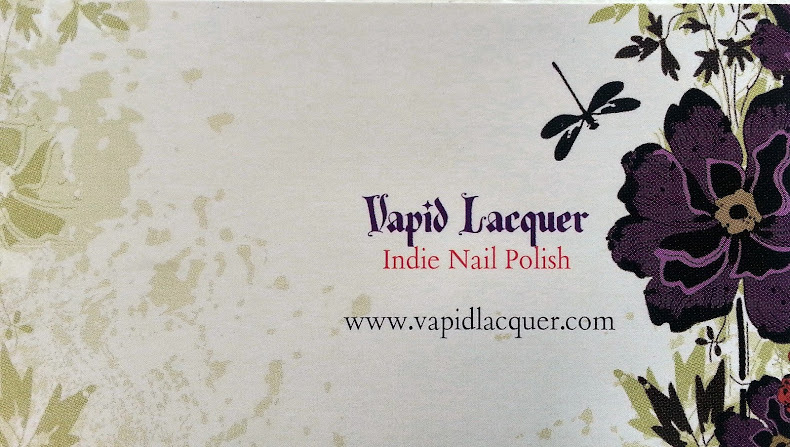 I haven't tried her polishes, but she seems to have alot of great products. It's sad I'm seeing this now, but I'm going to check it out! Thanks for sharing these great colors.